Starting with the Festival Eve Parade along Kokusai Street and the opening ceremony held at Okinawa Cellular Stadium, there will be a multitude of exciting events and programs to be enjoyed throughout the festival, including the World Business Fair, the Uchina Junior Study Tour, the Congress of the World Youth Uchinanchu Association and the Karate and Kobudo Exchange Festival. 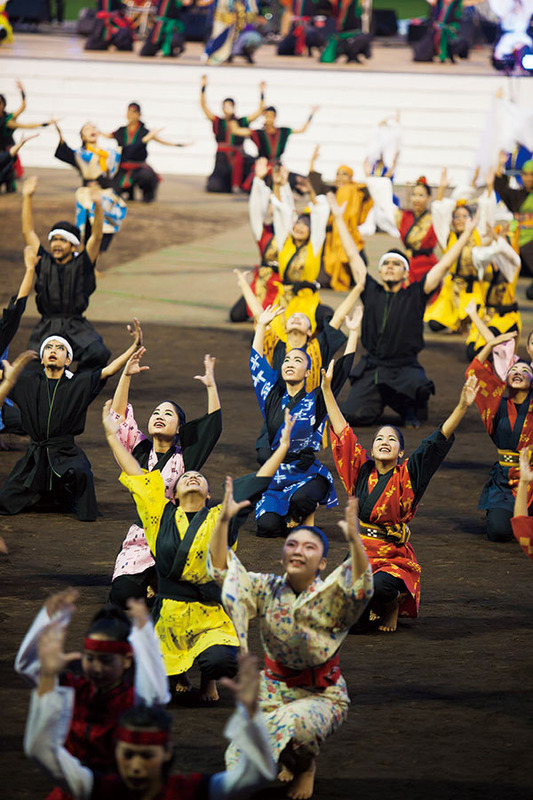 In addition, some of Okinawa's most popular annual events, such as the Shurijo Castle Festival and the Okinawa Industrial Festival, will take place before, during and after the 6th Worldwide Uchinanchu Festival. *Festival eve will be on Oct. 26.